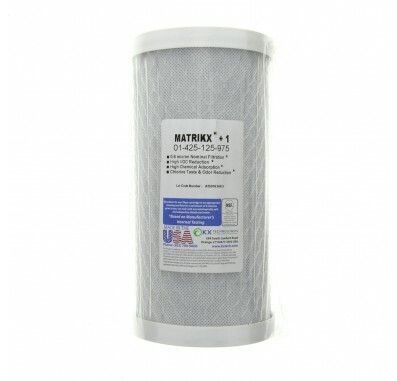 KX MATRIKX 01-425-125-975 water filters provide comprehensive control of chlorine taste and odor. KX Matrix +1 offers 0.6 nominal micron filtration with extended life as a fine sediment and silt control filter, comprehensive removal of chemicals that contribute to taste and odor, and high VOC reduction capacity. The water filter cartridge life of the KX MATRIKX +1 filters is greatly extended by a Sediment Water Filter placed before the Carbon Block Water Filter. Use the KX MATRIKX +1 in residential and commercial water purification systems, industrial effluent water treatment, food service, industrial makeup, product rinse, process water, and pre--and post-RO systems which require nearly absolute chlorine taste and odor reduction. Use the KX Matrikx 01-425-125-975 water filter in the Culligan HD-950 and other 10 inch big boy water filter housings. 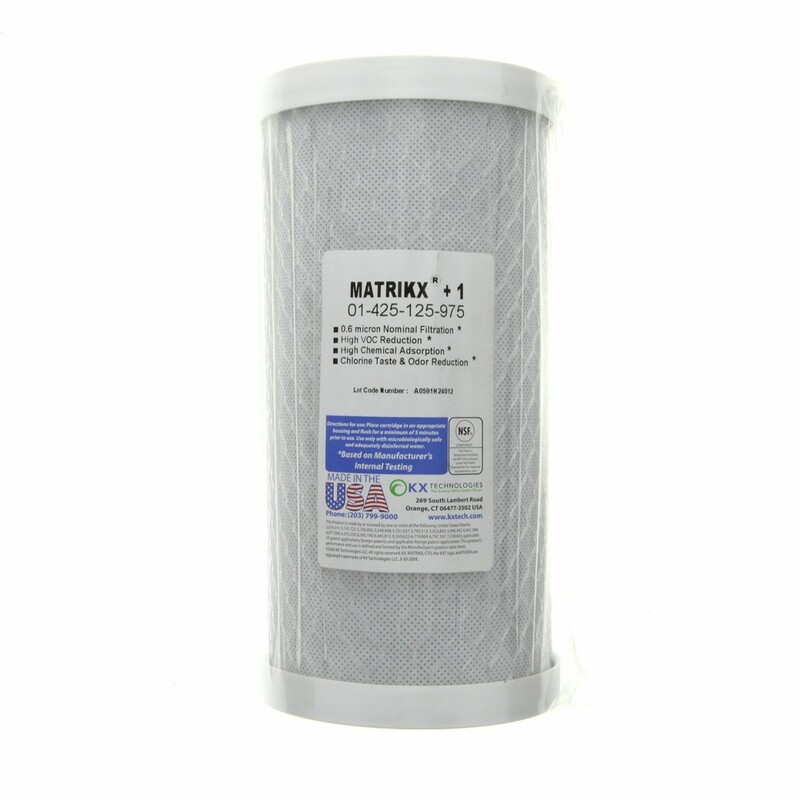 KX MATRIKX +1 01-425-125-975 water filters are designed to fit most standard household and commercial or industrial housings. The Pentek CBC-BB can be used in place of the KX Matrikx 01-425-125-975 water filter for similar performance. You may also use other 10" Big Boy Water Filters for your 10" Big Boy Housing.